“You take things too personally.” I remember the moment I first hear those words. “Huh? ?” Not only was the person who told me this completely on target, but it was such an issue for me that I didn’t even understand what she meant until years later. I might have been a strong willed child who grew into a strong willed woman. And, I’ve taken this trigger with me into my parenting. My biggest challenge is keeping my emotions in check, especially when my strong willed child is going haywire over something that’s clearly important to him. It’s all too easy to take the anger and frustration personally, isn’t it? Sounds great, right? Well…it is. But your strong willed child is no lazy afternoon by the pool to parent! So instead of locking myself in the closet with a sleeve of OREOs and a bottle of pinot noir, I decided I needed to find a better solution. One that didn’t involve me beating myself up for being the worst mom ever. And one that would actually benefit my my strong willed boys. 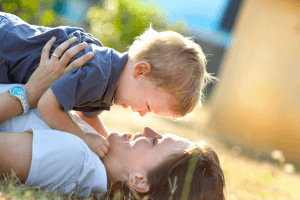 Does Whispering Work In Response to the Intense Emotions of Your Strong Willed Child? I had heard the tip about whispering to your child when she is upset so that she will need to lower her voice to hear yours. Two things here. First, I’m pretty sure my children could care less what I’m saying when they are so upset that they are screaming. Or screaming and crying. Unless it’s, “Yes muffin, I will let you eat only candy and cake and buy you a big huge LEGO set every single day for the rest of your life…” I don’t think they give a flying squirrel. Second, I was certain I would feel a little stupid whispering at my screaming, angry child. Let’s review – my child is a big hot screaming mess and I’m going to whisper??? Desperation made me try anyway. It didn’t work. And I felt stupid. Does Yelling at Your Strong Willed Child Work? But here’s the thing I realized about that…yelling (even if it was originally just so that I could be heard) MADE me angry. It threw me right into the chaos! It physically amped me up, tossed me right into the vortex of anger and actually created more anger. Not. Helpful. Add to this that when strong willed children are feeling intense emotions, they can’t hear you. Even if they want to hear you, they can’t because they have entered the “fight, flight, or feeze” mode. [A]nger comes from our “fight, flight or freeze” response. That means it’s a defense against threat. Occasionally that threat is outside us, for instance, when a big brother knocks down a block tower. But usually it isn’t. We see threats outside us because we’re carrying around old stuffed emotions like hurt, fear or sadness. Whatever’s happening in the moment triggers those old feelings, and we go into fight mode to try to stuff them down again. I finally found a way to handle intense emotions that’s about as close to perfect as I’ve found anywhere. It is intense enough that they want to hear me and it also provides a quick break that allows them to be capable of hearing me in the moment and not something even more intense that overwhelms them even more. Related Post You May Also Like: Want to Help Your Child Have Fewer Hard Times? So here’s the thing. When your child is that angry, your response needs to be intense. Your response has to be intense, or it won’t grab their attention. And while being angry and yelling are intense emotions they are definitely not what I’m talking about here. When you can reflect your child’s emotions back to them with the same intensity that they are displaying, and remain empathetic and respectful, it’s the perfect response! Since matching the intensity of your child’s anger with your intense anger typically just creates an explosion, you’ve got to match it with something equally intense, but try the opposite of angry. Other than anger, what emotions are intense? Love? Empathy? Humor? How could I use these? I decided to match the intensity of his anger with the intensity of my love and empathy! But How Can I Be Intense Without Being Angry? So how do you do that??? Here’s a great example. My son was engrossed in building a LEGO set. I needed him to take a break and come get ready for school. So he came, but he was pretty angry about having to break from his play. “I don’t want to get ready for school,” he yelled. So I met his intensity with a similar level of intensity saying “I don’t want to get everyone ready for school either!! !” And I said it with an empathetic and not sarcastic tone. Genuine: “I really don’t want to do what I’m doing, either…doesn’t it sort of stink?” My response was intense so that he could hear me and it expressed my empathy so he wanted to hear me. And it was something truly unexpected that jared him out of his frustration for at least a moment. He may still not want to go first, but at this point we can discuss it. He’s available to receive the lesson or the conversation. It hasn’t spiraled out of control. It hasn’t gotten me pulled in to his anger. We’ve both emerged unscathed and now I have an opportunity for real teaching. Sometimes matching the intensity of their frustration or anger can be tough without getting angry yourself. I’ve put together some great alternatives for you – so that you can match your child’s intensity with positive emotions. Sign up here and I’ll send you a free “Intense But Not Angry” printable which is a super simple reference for emotions that you can quickly and easily turn to when your child is frustrated or angry that will prevent the anger from escalating. In both of these instances, my face reflected silliness and exasperation – sort of over the top emotional intensity (to match their intensity). But mind you – it’s easy to cross a line into mocking their intensity. Make sure that you aren’t mocking your child’s feelings. You will only make the situation worse! So just match their intensity in a genuine and empathetic way. Every child / parent bond is special and unique. This is a great tip that works with my children and I’ve seen it work with many other children and their parents. Give it a try!! 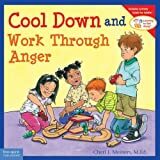 There are some terrific tools to help your children learn about anger. Anger can be both overwhelming and frightening for children – but it is a healthy and normal emotion. Here are some favorite books with characters that children can relate to to help them learn more about how to handle the perfectly normal emotion of anger. PS – I have one more FREEBIE to help you with your strong willed child. 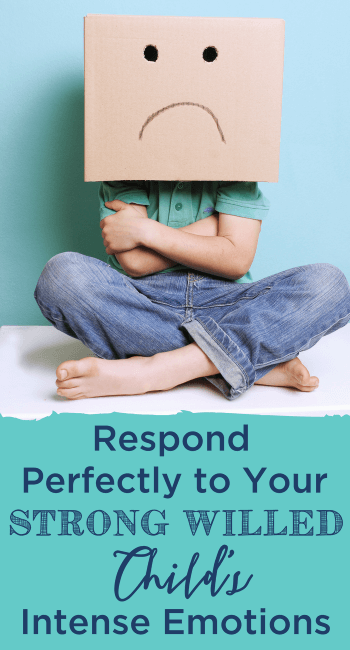 If your trying to resist your urge to respond in anger, my friend Amanda over at Messy Motherhood has an amazing list of 50 Calm Down Tips that are FREE! Just click on this link to get them sent to you right away! Very interesting idea! I find that my son is more likely to respond if I acknowledge what he wants. I like the idea of making the intensity. This is something I have not seemed to figure out, yet. I will definitely try your tip and respond with silliness and matching their emotions. If nothing else, it should get their attention! Interesting! Yelling is not the answer! I struggle with finding the balance all the time. Yelling doesn’t seem to work of course, but great point about meeting your child’s anger with an equivalent intensity so it resonates. Love this idea and I do it as well! 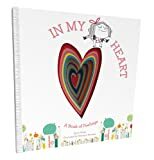 Also I love the book, The Way I Feel – it really helped my girls! I see how this would work but I have twin girls and they really make it difficult to attend to singular needs whilst keeping both kids happy. They are chalk and cheese but very jeleous of each other especially when it comes to getting my attention. Any advice for twin behaviour problems? They are coming up for 7 years old. Oh mama! Twins – both extra exciting and extra challenging!! I don’t have twins – but my boys are 9 and 6 (7 in a couple of days). I immediately recognize when either one feels that they are either getting enough of my attention or not getting enough of my attention. It’s immediately reflected in their behavior as well as their relationship with one another. This has been especially challenging for me lately as I recently began to homeschool one son, and not the other. So what I do is make sure that I get one on one time with my son who needs me more at the moment. I know you’ve probably heard this before – but… Remember that it doesn’t have to be super elaborate or time consuming. For example, my youngest has a wicked sense of humor and loves to laugh. So the more “quick” one on one moments we can have where one of us makes the other laugh – it’s a great connection moment. 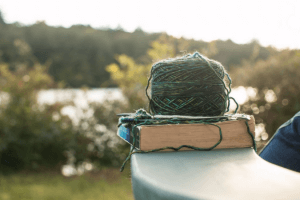 I’ve also taken to reading with one or the other each evening – and we have a special story. So each one gets special reading time at night that’s individual. I hope this helps! My daughter seems in it for the long haul, though. I try so hard to remain calm but by hour two of her meltdown I end up losing it. It’s like a power struggle to her and she wins when Mom and Dad start yelling. She’s four but she’s been fighting battles of the will since six months old and I’m so tired. I’m terrified of what her teen years will be like. Hugs, mama! Hour 2 is enough to make us all lose our minds! You might want to try this kind of response. Sometimes, children who “win” when a parent gives an intense response, may be looking for or may need a response that is equally intense to their big feelings so that they can process the response. Hugs and best wishes!